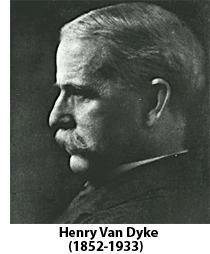 American writer, poet and clergyman Henry Van Dyke was born in 1852 in Germantown, in the State of Pennsylvania. His father was a member of the Presbyterian church and, as a minister, was the main influence on the young Van Dyke in his formative years. As well as two nationally known stories for Christmas, The Other Wise Man and The First Christmas Tree, he was a writer who was popular for a wide range of poetry that explored various aspects of religion and man’s relationship to nature. 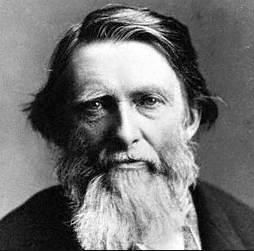 Graduating from Princeton University in 1873, he later served as Professor of English Literature at Princeton for over 20 years, during that time chairing the committee that developed the first Presbyterian Book of Common Worship. Over his lifetime he received many honors, including being selected by President Wilson to become an ambassador which led him to Holland and Luxembourg in 1913. 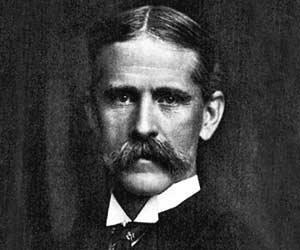 Van Dyke was no stranger to traveling. After completing his studies at Princeton he moved to Germany where he studied at the University of Berlin. Joining the Presbyterian Ministry, on his return he became pastor of the famous Brick Presbyterian Church, New York, where he quickly became well-known for his preaching, both within the city and nationally. His story The Other Wise Man became one of the most popular tales of the time, introducing a wise man who sold all he had to buy the baby Jesus some beautiful jewels. On his way to Bethlehem, however, he encounters many people who need his help and never makes it there. 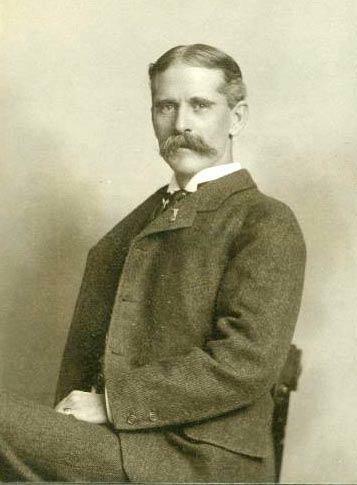 Published over 18 editions in both the US and England, it set Van Dyke up as one of the best loved story tellers of the time. 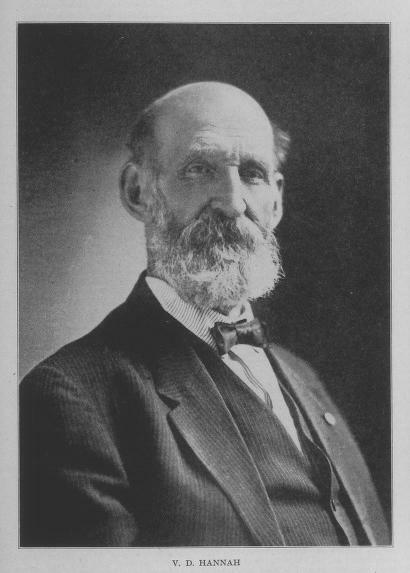 Van Dyke married Ellen Reid in 1881 and the couple would have 9 children together. At his core he believed in living a reverent life, in companionship with nature, and that man deserved to be treated sympathetically. It wasn’t just the realm of religion that he influenced and explored in his writings but education, diplomacy, and public service too. Perhaps one of his most enduring poems is Time Is (also called For Katrina’s Sundial) which, incidentally, inspired many future musicians including the group It’s a Beautiful Day in their debut album of 1969. The poem was originally created to act as an inscription on a sundial and is one of Van Dyke’s more enduring works. 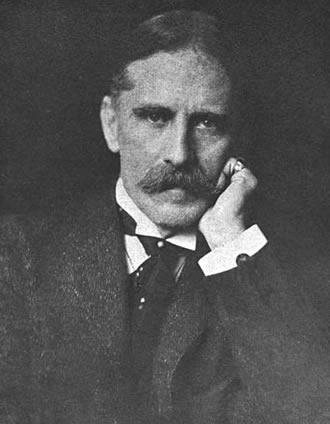 Throughout his life, Van Dyke believed strongly in study and scholarship which is why he took up his duties as an English Professor at Princeton in 1900. A few years later he also visited the University of Paris and taught there and published his work The Poetry of Psalms that presented the Bible as a noble and passionate reflection of nature, man, and life. 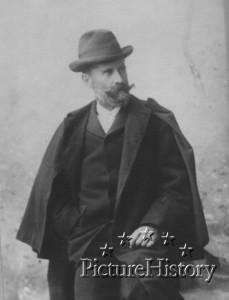 During the outbreak of war in 1914 he had already taken up his ambassadorial post for Holland and Luxembourg and helped to maintain the rights of US refugees in the midst of the chaos. Afterwards, he returned to the US and worked for a while as a chaplain in the US Naval Reserve. 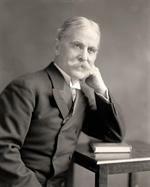 Retired by 1923, Van Dyke continued to write poetry up until his death in Princeton 10 years later.